Initial Thoughts: Imagine preparing a year-end presentation for your annual performance review at work. The goal is simple: impress your boss and seize that [presumably] hard-earned promotion. With all the brilliant work you’ve done over the course of the year, you know you’re in the driver’s seat – this one’s essentially in the bag. That lame parallel is how I imagine Virginia felt last season after their opening round debacle against UMBC. Once the final buzzer sounded, a whole year would have to pass before a subsequent shot at redemption presented itself. Well, that time has finally arrived, and the Cavs now get to silence all those stupid jokey jokes that littered Reddit message boards for the past 365 days. Virginia on Offense: The secret ingredient missing from last year’s tournament team was Deandre Hunter, who was sidelined with a broken wrist against the Retrievers. Who would’ve guessed the Hoos would need him so badly, but when the going got tough in the second half, Virginia had no go-to bucket getter and found themselves constrained by the limitations of their methodical mover-blocker offense. With another offseason of development under his belt, Hunter has become a fail-safe for Virginia’s systematic offense this season. His individual scoring prowess, particularly in mid-post isolation settings, has catapulted Virginia’s offense from “great” to “historically great”, as defined by kenpom.com’s adjusted offensive efficiency standards. Whenever Kyle Guy can’t get free off multiple screens, or whenever Ty Jerome can’t shake his defender at the top of the key, the Hoos can simply toss it over to Hunter, clear out his side of the floor and watch him torment his lonely defender. However, in this particular matchup against Gardner Webb’s athletic troop of wings, the Runnin’ Bulldogs might be able to actually corral Hunter defensively. The strength of the Runnin’ Bulldogs is the two-pronged wing attack of DJ Laster and Jose Perez. Despite standing 6’5 and 6’6, respectively, Perez and Laster play the 4 and 5 spots in head coach Tim Crafts’ minuscule small-ball lineup. Laster is the more physical of the two and would seem to be best option to stick on Hunter, but that would leave essentially no one left to cover Jack Salt or Mamadi Diakite. How Craft will address this conundrum is a mystery, but I’d suspect he’ll call upon 6’6 250-pound beefcake Brandon Miller, a bruiser who plays sparingly off the bench. Gardner Webb on Offense: Gardner Webb’s offensive attack is predicated on creating mismatches. Perez and Laster don’t fit into the traditional power forward and center mold, and senior leader David Efianayi is built like a freight train for a lead guard, often using his physicality to create separation from weaker defenders. Rounding out G-Webb’s starting five are Nate Johnson, the token ‘3-and-D’ floor spacer, and Jaheam Cornwall, a lower usage, ball moving point guard. With the plethora of shooting and interchangeable pieces that can slide up and down the lineup, it’s easy to see why so many teams struggled to stop the Runnin’ Bulldogs this year – just ask Wake Forest and Georgia Tech, both of whom took it on the chin when Gardner Webb came to town earlier in the season. Key Factor(s): This one will come down to how well both coaches handle their defensive adjustments. For Bennett, he has to nail down who’s best suited to check Laster, who has the length and size to score over lankier wings but possesses the handle and outside shooting touch to stretch more grounded bigs away from the lane. Hunter seems like the obvious candidate here, but Braxton Key is also a tailor-made matchup with his size and lateral quickness at 6’8. On the other bench, Craft will likely need to weave in some nuanced defensive schemes to try and rattle the Hoos’ offense. Against Campbell, Craft made the brilliant move of switching to a matchup zone, which threw off the Camels intricate motion offense and took Chris Clemons out of his comfort zone. Whether it’s that specific matchup zone, or another schematic twist from deep in his bag of tricks, there’s no reason for Craft to save anything now, especially against a powerhouse like Virginia. Final Predictions: Will Gardner Webb continue its magical March run and add a third victim to its ACC body count this season?! While the Runnin’ Bulldogs have the offensive firepower to perhaps make it interesting, I fully expect a razor-focused Cavs team to score with ease on the other end of the floor. Initial Thoughts: Halfway through the season, these two were monster ATS darlings: per teamrankings.com, they were a combined 22-3-1 vs. the number in the nonconference portion of the year (22-3-1 !!!). Good coaching can go a long way, and these two teams and their respective over-performance versus expectations showed just how important that can be. They leveled off a little in conference play (or oddsmakers caught up to them), finishing “only” 42-19-3, but even so, Kermit Davis and Lon Kruger have done terrific jobs simply getting their teams in this position after neither was viewed as a tournament team in the preseason. Unsurprisingly, all three guards ranked in the SEC’s top 20 of percentage of minutes played in conference games, as Kermit simply couldn’t take them off the floor for fear of a letdown. Oklahoma actually has a deep stable of backcourt defenders to combat them, though: Christian James seems like a perfect matchup for the bigger Davis, while some rotation of Miles Reynolds, Jamal Bieniemy, and Aaron Calixte can rotate on the two smaller ball-handlers. OU may struggle in their starting alignment, though, as the 6’6 Rashard Odomes may not be quick enough to stop any of the three creators off the dribble. Davis, Tyree, and Shuler all take a considerable number of off-the-dribble threes, meaning the offense can be extremely streaky based on whether they’re knocking those shots down or not (similar to SEC counterpart Auburn). The Rebels complement their scoring guards with a four-man rotation in the frontcourt, all offering slightly different strengths (Blake Hinson is the shooter, Bruce Stevens is the burly rebounder, etc.). OU’s Jamuni McNeace has struggled with injuries for most of the year, leading to significantly decreased minutes, which could make the Sooners slightly vulnerable to a flurry of offensive rebounds. If McNeace is able to play extended time, he neutralizes a lot of what Stevens and 7-footer Dom Olejniczak bring to the table. Oklahoma on Offense: Quick random aside…over Thanksgiving, I visited the lovely city of San Diego. As chance would have it, I ran into the USD basketball team at the airport while awaiting my flight home, and I briefly got to chat with head coach Sam Scholl (I think he was fairly shocked someone recognized him). His Toreros were heading east to play Ole Miss, and I asked if he had any tricks up his sleeve for Kermit Davis’s Rebels. “He’s the one with the tricks,” Scholl replied with a chuckle, and he’s right – Davis is known for switching things up on defense, mixing in a 1-3-1 and other wrinkles to keep offenses off-balance. Expect that to continue against an Oklahoma team whose offense let it down in conference play, finishing 9th of 10 teams. The zone looks should be especially effective, as Oklahoma’s weaknesses – a lack of outside shooting, very little offensive rebounding – will get exposed. The Sooners took the lowest share of threes in the Big 12 (and 309th nationally), and with only two real shooting threats (James and stretch big Brady Manek), taking away driving lanes should thwart a lot of what Oklahoma wants to do. Per Synergy, Oklahoma scored in the 23rd percentile nationally against zones; thank you to the data for supporting my perception! Key Factor(s): Both of these teams peaked earlier in the year as they took opponents by surprise, and their play down the stretch reflected that: Oklahoma lost eight of its final twelve games against the grueling Big 12, while Mississippi dropped five of seven. With over a week off to rest and refresh, can either squad rediscover what made it so difficult to play against early in the year? Again, both were more successful against nonconference competition, so this is a significant clean slate for both teams. One key stat that may prove to be vital in a close game: Mississippi is one of the country’s best free throw shooting teams at 78.3%, while Oklahoma is below average at 69.1%. For a game that’s nearly a coin flip, I’m inclined to support the side that cashes in on its freebies. Final Predictions: As maddening as they can be at times, I’ve grown to enjoy Mississippi’s guards, and I think they’re the difference in this one. I’m sure there will be a drought or two when the Rebels’ shot selection becomes mystifying, but the possibility of a few second chance points helps ease my mind in that regard. I also think Kermit’s tricky zones play up against unfamiliar opponents (won his past two NCAA Tournament openers at Middle Tennessee, the aforementioned nonconference performance), and even though Kruger and the Sooners have had plenty of time to scout, I just think OU’s lack of offensive punch will limit them against a crafty defensive mind. Initial Thoughts: Quick, can anyone tell me if these two teams have played at all recently in the NCAA Tournament? Spoiler alert, yes they have! Wisconsin knocked off Oregon in the Round of 32 in both 2014 and 2015, both times en route to a Final Four appearance. No Ducks remain from that 2015 meeting, but Oregon fans surely remember that double dismissal and must be eager to return the favor. Oregon enters the tournament red hot, having won (and covered!) eight consecutive games, and I don’t think four days off is going to suddenly diffuse the momentum the Ducks have built. Dana Altman finally seems to have unlocked this team, and that may spell bad news for the Badgers. Wisconsin on Offense: This end of the floor is rather simple: stop Ethan Happ, and you have a pretty great chance at stopping Wisconsin. That’s not just scoring, either – Happ is the best passer on Wisconsin’s roster, so if opponents are forced to double-team him, he can pick them apart with clever drop-offs to Khalil Iverson on the baseline or kick-outs to shooters dotting the perimeter. If you can stop Happ one-on-one, then the Badgers will probably go on a 10-minute scoring drought as Brad Davison fires step-back brick after step-back brick. There’s very little in-between! In Kenny Wooten and Francis Okoro, Oregon has two athletic bigs that can hang with Happ. Due to the nature of the Ducks’ defense (more on that in a second), neither has faced many post-ups this year, but Wooten in particular is a solidly-built, nationally-elite shot-blocker who could give Happ fits as long as he doesn’t fall for repeated pump fakes. Because this “zone” has so many man-to-man principles (it’s almost like a “switch everything” scheme on elephant steroids), this should not alter Wisconsin’s approach much. They can still post Happ inside, and the Ducks should still force the other four Badgers to beat them. One last important note: the Badgers are known for how well they take care of the ball on offense, but Ehab Amin, Payton Pritchard, and Will Richardson form one of the best “stealing” backcourts in the nation. Oregon’s amoeba zone may confuse Wisconsin’s younger ball-handlers, and I wouldn’t be surprised to see an abnormally high turnover number from Greg Gard’s group. Oregon on Offense: While Oregon’s defense has received most of the attention over its recent tear, the offense has been quietly crushing it as well, scoring better than 1ppp in seven of the eight games. The Ducks will face a stiff test against Wisconsin’s man-to-man, which will almost be a curveball to a Pac 12 team, where zone was exceedingly prevalent this year. Iverson likely draws the Louis King assignment, and although Iverson will be yielding several inches, King may struggle against the strength and experience that his counterpart possesses. I’d expect a lot of the offense to run through Pritchard, and although Oregon plays at a similar crawl to Wisconsin, Pritchard and Amin have the green light to push opportunistically off of misses and turnovers. That echoes the importance of Wisconsin taking care of the ball: Oregon will need every easy basket it can get. Once in the halfcourt, Oregon will try to space the floor as best it can and attack off the bounce, getting into gaps in the Badger defense and forcing rotations. Wisconsin’s discipline makes it hard to envision much success in this approach, so the Ducks will need to hit shots to loosen the screws a bit. Pritchard, King, Paul White, and Victor Bailey will all launch if open, but none are devastating high volume shooters. Like on the other end, scoring is going to be a struggle, and the San Jose crowd’s vocal chords will get a workout from counting down the shot clock all afternoon/evening. Key Factor(s): I’m most curious to see Dana Altman’s defensive approach. His funky matchup zone has fueled the Oregon late-season renaissance (Oregonaissance? ), and as long as he figures out how to correctly approach Happ, that zone can frustrate the rest of the Badger roster. Wisconsin has some shooting – D’Mitrik Trice, Brevin Pritzl, Davison at times – but only Happ really makes his teammates better by generating shots. How Greg Gard attacks this scheme will say an awful lot about his game preparation ability. Final Predictions: As someone very familiar with Wisconsin’s postseason successes and failures, I’ll just come right out and admit it: this year reminds me way too much of the 2013 team that, although elite defensively, simply couldn’t get important baskets when it mattered. A couple other similarities: both teams only earned a 5-seed despite ranking 12th in KenPom, and both opened up the tournament against a middling Power 6 team that may have missed the Tournament altogether had it not just captured its league’s tournament title. That Wisconsin team lost a gruesome 57-46 bloodbath to Marshall Henderson and Mississippi, and I fear this Badger edition will suffer a similarly drab fate. Expect a LOT of long possessions (fans of shot clock violations, rejoice!) – 58-51, Oregon. Initial Thoughts: Unfortunately, the prevailing headline in this matchup is Dean Wade’s health. While Bruce Weber has yet to declare Wade officially out for the tournament, all signs point to his career being over at Kansas State, a depressing declaration given the slew of foot injuries he’s dealt with over the years. Kansas State on Offense: The NCAA Selection Committee poured gasoline on K-State’s fire by penciling in the Wildcats with UC Irvine, a ruthless move for a team already missing its most valuable asset. The Anteaters are currently sporting the nation’s 5th lowest defensive eFG%, a byproduct of head coach Russell Turner’s flawless defensive scheme and his trio of rim protecting titans inside. The headliner of this interior fortress is Jonathan Galloway, the recipient of the Big West’s Defensive Player of the Year honors for three years in a row. At 6’10 235 pounds, Galloway looks out of place in the forgettable Big West. Few big men have the authority to fundamentally alter opposing teams’ shot-selection, but Galloway’s imposing size and length, along with his positioning excellence, are why opponents converted just 47% of their shots at the rim against UCI this year, per hoop-math.com. Galloway is the primary paint patroller, but Turner will work in two more stout rim protectors in Elston Jones and Tommy Rutherford as well. The other notable characteristic about Irvine’s defense is the way they chase shooters off the 3-point line, and sucker opposing guards and wings into settling for less efficient 2s inside the arc. This will leave few open looks for K-State’s array of shooters, which means Barry Brown, Kamau Stokes and Xavier Sneed will need to have their midrange mojo working if the Wildcats want to score consistently. 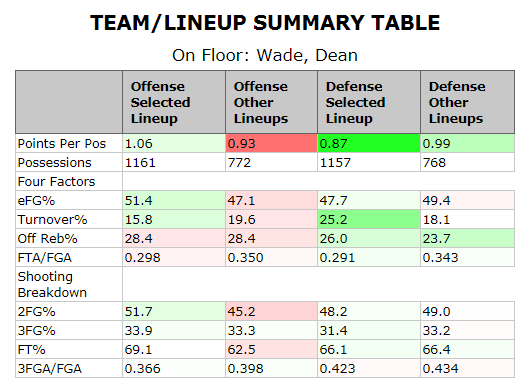 Interestingly enough, Wade was essentially a non-factor in that game, tallying just 15 minutes of action. It was the Wildcats’ ferocious perimeter defense, spearheaded by Barry Brown’s ballhawking pressure, that bothered the Anteaters for 40 minutes. Key Factor(s): For Irvine to get some momentum offensively, Eyassu Worku, who has missed the last five games with a minor injury, must be in attack mode against the stingy Wildcat defense. With Worku back in the mix, the Anteaters will have two dynamic drivers in Worku and Max Hazzard, an important prerequisite to being able to penetrate the outer shell of K-State’s defense. With Worku sidelined for the past month, Stanford transfer Robert Cartwright has held down the fort quite nicely, playing within himself and letting Hazzard emerge as a more ball dominant creator in the offense. That said, Cartwright is not as nearly as potent as Worku is off-the-dribble and is at risk to being gobbled up by Brown and Stokes in the backcourt, making the seamless reintegration of Worku a key ingredient for the Anteaters here. Final Predictions: This spread is nearly impossible to handicap with Wade out of the picture, since apprising his considerable individual value is guesswork. His value is magnified even more in this particular matchup, given K-State is starved for bodies up front outside of Makol Mawien. As simple as it sounds, the only way K-State wins this game is if Brown, Stokes or Sneed make shots, most of which will have to come from the typically less efficient midrange area, given how Turner’s defense funnels perimeter scorers and shooters inside the arc. Choosing a side here is tricky without a high degree of certainty on Wade’s point value, but it’s clear both teams will have trouble scoring with the way the other defends - the total is low, but I’d be shocked if both teams are able to eclipse 60 points in this brawl. Initial Thoughts: Being the NCAA hoops nerd that I am, my brain immediately went to the 2010 meeting between these two schools, when the 10-seed Gaels knocked off the 2-seed Wildcats in a tight second round affair. Omar Samhan was the hero for St. Mary’s, but he was helped by a little unknown Australian freshman named Matthew Dellavedova – oh, how times have changed! Also of note: Jay Wright is decidedly not thought of as a poor postseason coach anymore. Some things stay the same, though, and nine years later, both Wright and Randy Bennett remain at the helms of their respective schools. Both teams are coming off conference tournament championships, although St. Mary’s was just a tad bit more unexpected than Villanova’s, as the Gaels robbed a bid from the bubble brigade a week ago. That’s quite alright with me, honestly, because Jordan Ford and the Gaels are a treat to watch play, and this one should be a battle throughout. Villanova on Offense: Last year’s Villanova team blistered opponents from team, as all five players on the court could hoist at effective rates from nearly anywhere. This year’s version has leaned even harder into the three-point revolution, launching more than half of its shots from beyond the arc (53.5%, 4th-highest ratio in the country). Wright has settled on a starting five consisting of guards Phil Booth and Collin Gillespie, plus three interchangeable pieces in Eric Paschall, Saddiq Bey, and Jermaine Samuels, giving a similar “5-out” look as the 2018 title team. All five starters took at least five threes in the Big East Tournament final, showing just how important the perimeter shot is to these Wildcats. It won’t be easy to find good looks against Randy Bennett’s defense, though. Bennett has long understood the value of the three-ball, and his defenses have always stressed running opponents off the line and forcing them into less efficient mid-range jumpers. The shot selection battle will be crucial. A primary advantage of playing five shooters is that it pulls the opposing center away from the hoop, opening the lane for drives and cuts. Jordan Hunter acquitted himself well on the defensive end against Gonzaga’s versatile attack in the WCC championship, and he’ll once again need to be mobile to prevent the ‘Cats from torching the nets. St. Mary’s on Offense: Most of my profound matchup takes reside on this side of the ball, as Bennett and Wright will wage a chess match against each other with minor adjustments. The Gael offense goes as Jordan Ford goes, a 6’1 assassin who is equally comfortable launching from 27 feet or gently flipping a rainbow floater over the outstretched arm of an opposing big man in the lane. His skill off screens and off the bounce opens things for the rest of his teammates, drawing multiple defenders and opening up shots and driving lanes for his cohorts. Nova’s 5-out lineup is tremendously switchable, though, and any of Paschall/Bey/Samuels can guard Ford for small stretches without getting buried. Bennett will need to be creative to put Ford in downhill situations: perhaps more dribble handoffs or slipped screens so as to stir some confusion in a defense that likely plans to switch everything. The 6’11 Hunter is the requisite post threat in Bennett’s offense, and he may hold the key to unlocking the Wildcat defense, especially if Villanova does switch all screens. Because Wright frequently runs out that three-forward lineup, Nova lacks a true post defender, and the stats tell the story: per Synergy, Villanova ranked in just the 13th percentile nationally against post-ups, and even reserve big man Dhamir Cosby-Roundtree struggled to stand up to bigger players. If Hunter (and Malik Fitts against switches) can get some 1v1 baskets, it may force Wright into altering his defensive approach. Key Factor(s): The lineup tug of war is going to be fascinating. Neither team is going to push the pace offensively (except for easy chances), so how each coach attacks the opposition’s weakness (size for Nova, footspeed for St. Mary’s) will likely dictate who wins. SMC’s win over Gonzaga is highly encouraging, particularly in how they were able to defend, but it would be shocking to see Nova match Gonzaga’s pitiful 2/17 performance from three-point range. By the same token, Hunter should eat inside, similar to the way Xavier’s Zach Hankins went to work in the paint against the Wildcats’ interior defense. Final Predictions: KenPom has this spread all the way down at -1, whereas oddsmakers opened it at -4.5, a massive non-injury-related gap for this stage of the year. Surprisingly, it’s been bet up to -5.5 or even -6 in some places, making this an extremely difficult selection for me. Both coaches are fantastic, so there’s no real edge there, and I don’t really buy that SMC flying out to Hartford is much of a disadvantage. So I’m just going to take the points in what should be a slow but efficient affair for both offenses. 69-66, Wildcats. Initial Thoughts: If Purdue fans were hoping for a smaller mid-major opponent to roll over with ease Round 1, this simply ain’t it. While this rendition of Old Dominion is actually one of the weaker squads Jeff Jones has had in his first six seasons in Norfolk, dismissing this Monarchs team as a pushover would be foolish. In many ways, Purdue and Old Dominion are mirror images of each other. Both teams are built on toughness and physicality and each has a 7-foot giant in the middle – in fact, Old Dominion has two, which rules out any shot of the Boilers simply playing volleyball at the rim over a smaller, weaker mid-major opponent. Purdue on Offense: The Monarchs’ two mammoths inside are former LSU transfer Elbert Robinson and former Providence transfer Dajour Dickens. After losing Trey Porter this offseason, Jeff Jones promptly imported these two interior intimidators to preserve the paint. Neither is much of a threat offensively, but Jones has optimized the lineup substitutions to essentially interchange these two beasts for one another to ensure he always has a mega-man in the middle. And more recently, he’s woven in 6’7 250-pound freshman Kalu Ezikpe into the rotation as well, giving the Monarchs three big blockades to go through on the interior. As dominant as Matt Haarms and Trevion Williams have been this season, the Monarchs are well equipped to keep them from playing bully ball in the paint. That means Purdue will have to run its stuff and execute offensively to score against ODU’s stout defense. The Boilers are extremely versatile offensively and in no way reliant on Haarms and Williams to score inside – as cited by Tom Izzo in the postgame press conference after Purdue’s 10-point victory over the Spartans earlier this season, Izzo declared Purdue the best passing and cutting team in America. Nojel Eastern and Ryan Cline often get labeled as one-dimensional role players (Eastern a lockdown defender; Cline a knockdown shooter), but both are much more well-rounded offensively. They’re both proficient attacking off-the-dribble in certain situations and their 6’6 frames allow them to see over smaller defenders to find the open man, whether it be a basket cutter or spot-up shooter. Old Dominion on Offense: Cover your eyes folks – this side of the ball has the potential to cause permanent blindness with the way Purdue defends (well) and the way Old Dominion shoots (poorly). In typically ODU fashion, the most consistent way the Monarchs score is through second and third chance opportunities on the offensive glass. Along with the aforementioned twin towers inside, Jeff Jones has an athletic group of wings that will relentlessly pursue missed shots on the offensive end, headlined by Jason Wade and Aaron Carver. Given Purdue typically locks down the defensive glass all together, Ahmad Caver and BJ Stith will have to make shots – and a lot of them – if ODU has any shot of scoring in the high 60s against the Boilermakers. Stith and Caver both had valid cases for Conference USA Player of the Year because of how instrumental they were to a relatively limited offense. Other than Xavier Green, no one else is a legitimate threat to score, for the rare exception of when off-the-bench spark plug Justice Kithcart catches fire. Key Factor(s): An under the radar storyline that seems to have been quietly hushed is Carsen Edwards’ ailing back. The excerpt below from an IndyStar article details this development, which was revealed after Purdue’s opening round loss in the Big Ten tournament. “It’s in pain,” he said. So, someone wanted to know, you’ve been playing through it? This happened in practice? In a game? “It’s just an injury that …” and right there, Edwards stopped himself from saying more. This revelation explains so much about Edwards’ recent struggles, which have persisted since the beginning of February. He’s such a dynamic catalyst with his ability to knife through the defense, but his pull-up jump shot is what makes him an elite scorer. Without being able to weaponize that jumper, it severely limits Edwards’ offensive ceiling and gives Caver, a stout on-ball defender himself, a chance to keep Carsen in check and force others around him to make shots. Final Predictions: Old Dominion is going to use the same blueprint that Minnesota did this season by giving the Boilers a dose of their own medicine with physicality and toughness. Betting against Matt Painter is not something that excites me, but I trust Jeff Jones to turn this game into a fist fight, which should allow the Monarchs to stay within striking distance. As far as the total goes, I would probably advise staying away now that it’s been bet down to 126 from 129. Initial Thoughts: This is a classic example of two teams headed in opposite directions. Iowa has struggled mightily over the past month and a half, closing its season with six losses in eight games. The only wins came against Indiana at home and Illinois in the Big Ten Tournament, and now they face a hardened Cincinnati squad that just ripped off three straight impressive wins in the American Tournament. Mick Cronin nearly suspended his entire team after consecutive losses to UCF and Houston to end the regular season, even threatening to invite football players to practice to toughen up his players. He clearly got their attention, as the Bearcats outrebounded all three tourney opponents, and I honestly think Cronin cares more about the rebounding totals than the final score. It’s also worth noting that the Bearcats will have a bit of a home advantage in Columbus, OH, just a quick 100 mile drive up I-71. Only two of Cincy’s primary shooters have gotten worse in big games, but unfortunately, those two are by far their highest volume shooters, and their drop-offs are precipitous. Shout out to Cane Broome and Tre Scott for their marked improvements, though! Cincinnati is also likely going to crush the Hawkeyes on the offensive glass. Tyler Cook grabs his share of boards when on the floor, but Luka Garza is a mysteriously soft defensive rebounder, and the Iowa zone is ripe for picking up second chances. The Bearcats just so happen to be the #4 in the country in offensive rebounding rate, a longtime mainstay of Cronin-coached teams, and I wouldn’t be stunned if UC grabbed 40% of its misses in this one. Iowa on Offense: Offensive rebounding may be a story on the other end of the floor, as well. Cincinnati’s glasswork on defense is mostly what made Cronin nearly snap after the senior day dismantling against Houston, and it has been a season-long bugaboo for the Bearcats. Iowa isn’t elite on the offensive boards in the way Cincy is, but Cook, Garza, Ryan Kreiner, and Nicholas Baer can all cause issues with their size and/or activity level. I have no doubt Mick will harp on this leading up to the game, but whether Cincinnati actually puts it into action is anyone’s guess. Iowa’s success (when they’ve had it) has largely been a product of its streaky perimeter shooting, as Jordan Bohannon, Joe Wieskamp, Isaiah Moss, and Baer can all get hot from outside. Bohannon in particular is capable of hitting outrageously difficult shots (Indiana fans just crawled under their chairs to weep), and although Jenifer is a stout defender, he may be too small to consistently bother Bohannon’s lightning-quick release. Because of Cronin’s maniacal obsession with winning the battle in the paint, Cincy is prone to getting torched from deep by hot shooting teams. That’s a major point to monitor in this game, because the Hawkeyes should get open looks – if they’re knocking them down, they could build a lead quickly. Key Factor(s): This is a clear battle of “strength vs. strength” (Iowa offense vs. UC defense) and “weakness vs. weakness” (UC offense vs. Iowa defense). If one team can assert itself on either end of those even battles, it will likely earn the upper hand in a close game. My guess: Cane Broome’s incisive penetration and ability to split defenders at the top of the zone will be huge, as he’ll have plenty of easy drop-offs available to Nysier Brooks and Scott for dunks if he breaks the first line of defense. Final Predictions: Cronin seems to have the undivided attention of his team entering the Big Dance, while Iowa is searching for answers, and I think that helps make the difference here. For all of the flak Cronin gets for only making one Sweet 16, he has been solid in Round 1, and against a soft-ish Iowa team, I’ll roll with the Bearkitties. Initial Thoughts: Perhaps I am overly influenced by the few times I watched Colgate play this year, but I’ll have my popcorn ready for this one in Vegas. The Raiders have a game-breaking point guard in Jordan Burns, a versatile inside-out 6’10 scorer in Rapolas Ivanauskas and a surplus of shooters that dot the arc on the perimeter, all of whom are in constant harmonious motion offensively. I’ve watched the Raiders go bombs away against the big boys on two different occasions this year – the first episode was at the Carrier Dome where Colgate splashed in 12 threes against the Orange’s extended 2-3 zone, while the second instance came just two weeks later in a 10 for 21 3-point outburst against Penn State in State College. The final scores of both of those games are wildly misleading, given Colgate was neck-and-neck with ‘Cuse deep into the second half and trailed Penn State by a field goal with 3:28 remaining in regulation. The point is, the Raiders have proven they can hold their ground against elite size and athleticism, which is what they’ll be up against when they run into the chiseled Volunteer veterans, led by the weight-room specimen bash brothers, Grant Williams and Admiral Schofield. Colgate on Offense: What I love about Colgate’s offense is the way it balances both system-driven shots and player-driven shots. In other words, head coach Matt Langel understands that his motion-based offense sets the foundation for the Raiders’ hyper-efficient scoring attack, but he also doesn’t pigeon-hole his players into running the offense like robots. This situational freedom allows the individual playmaking and shot-making brilliance of both Burns and Ivanauskas to shine without reducing them to homogenous pieces offensively. Burns is a rising star in the Patriot League, a 6’0 sophomore who has all the tools and intangibles you want in a point guard. His primary duty is to whip the ball from side-to-side and feed his partner in crime Ivanauskas at the right spots on the floor, but Burns can take over a game himself with a devastating pull-up jumper from long range. The Vols cannot be lulled to sleep by Burns facilitating the offense, because he’s volcano waiting to erupt on the perimeter. Burns’ scoring outbursts are typically aided by the defensive eyeballs constantly worrying about Ivanauskas’, a former Northwestern transfer who has taken the Patriot by storm with his postionless versatility at 6’10. Ivanauskas is a true three-level scorer, but his middle game and post-up repertoire are his bread-and-butter. Grant Williams obviously has the lateral quickness and physical frame to guard him 1-on-1, but Langel is a genius at moving Ivanauskas’ all over the court to get him quick, open looks at the basket. Tennessee on Offense: This is where Colgate will have to man up if they hope to have a prayer of pulling off the upset. By Patriot League standards, the Raiders are a rather large team as Langel typically trots out a starting lineup that stands 6’0, 6’5, 6’8, 6’9, 6’10. This partially explains why Colgate was one of the better rebounding units in the conference, but blocking out Grant Williams, Admiral Schofield and Kyle Alexander is slightlyyyyyy more difficult than boxing out Holy Cross or Lehigh. Despite the fact that the Raiders were competitive in their two bouts against high end competition in the non-conference, the abuse they took on the boards is a glaring concern for this looming battle with the Volunteers. Against Penn State, the Nittany Lions grabbed 14 offensive rebounds, and Syracuse’s gumby-esque length hauled in a whopping 18 offensive boards. If Rick Barnes is smart, he will utilize a bigger lineup that pins both Alexander and Williams against the thinner and weaker Raider front court with the intent of gobbling up every offensive miss. Key Factor(s): Talking about Jordan Bone as the Volunteers’ X-factor is almost an overplayed narrative at this point, but the Vols truly go as he goes. While there’s nothing flashy to his game, he is always in control of Rick Barnes’ offense and picks his spots to attack appropriately. In this particular matchup, he’ll likely draw the Jordan Burns assignment, which means he must stay engaged defensively for a full 40 minutes to keep Burns from getting loose out on the perimeter. And against Colgate’s man-to-man defense that will be overly concerned with fortifying the lane, Bone should have plenty of chances to knock down his patented midrange jumper off ball-screens when the Raider bigs conservatively sag back into the lane. Final Predictions: This could play out looking like ‘the men versus the boys’, but I trust Colgate to cash in on enough of their open looks from the outside to keep this game respectable. Ultimately, Tennessee is simply too old and too experienced to suffer a mental meltdown or emotional letdown, but we’ve seen the Vols get sloppy defensively in recent games – just go back to the SEC championship when Auburn’s cavalry of shooters torched Tennessee from downtown.